1. The Oakland City Council voted this week to reduce compost rates for restaurants and other businesses following an outcry over a new rate structure that made it cheaper to throw away food waste than to compost it, the Chron reports. Under the new plan, compost rates will become 30 percent lower than trash rates. The council also rejected a proposal to increase recycling rates by 10 percent. The request was made by Oakland’s recycling contractor, California Waste Solutions, which claimed that the city had misrepresented the total number of homes it would have to serve. 2. 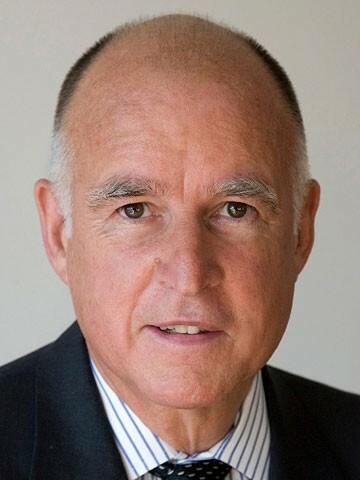 Governor Jerry Brown approved a traffic ticket amnesty program that provides deep discounts for low-income residents who cannot afford to pay the high fees, the Chron reports. The state will cut ticket fees in half for everyone who received one prior to 2013 and will offer discounts of up to 80 percent for low-income residents. More than 4 million Californians have lost their drivers’ licenses because of unpaid tickets. 3. A group of Black women from the East Bay who were thrown off the Napa Wine Train for laughing too loudly have filed an $11 million discrimination lawsuit claim against the train's owners, the Bay Area News Group$ reports. 4. A federal appeals court in San Francisco overruled a lower court decision that had ordered NCAA colleges and universities to compensate student athletes from gate and broadcast revenues, the Chron reports. However, the appellate court said that colleges and universities must provide full financial aid to athletes. 5. In a victory for the California teachers’ union, a federal judge dismissed a lawsuit backed by conservative groups that sought to limit the use of teachers’ union dues on political campaigns and causes, the LA Times$ reports. Anti-union activists plan to appeal the ruling. 6. A super-majority of Californians — 69 percent — supports raising cigarette taxes in the state, and a large majority — 55 percent — wants to reform Prop 13 to close a loophole that helps corporations avoid paying property taxes, the Bay Area News Group$ reports, citing a new Public Policy Institute of California survey. However, only a plurality of voters — 49 percent — favor extending Prop 30 taxes on the wealthy and taxing the extraction of fossil fuel in the state. 7. A group of low-income residents has sued Alameda County over its failure to process food stamp requests in a timely manner, the Bay Area News Group$ reports. 8. And California Congressman Kevin McCarthy — the GOP frontrunner to become the next House Speaker — admitted on Fox News that the Benghazi hearings were designed at least in part to hurt the poll numbers of Democratic presidential candidate Hillary Clinton.